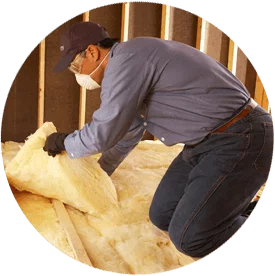 Are you looking for attic insulation contractors serving Eau Claire, Sheboygan, Madison, Milwaukee, Green Bay and the surrounding areas in Wisconsin? Alpine Insulation is a good name to know. Get an estimate for your attic insulation today by contacting us online, or calling (866) 261-1090. As a significant source of energy loss in homes, the attic should be properly insulated. Even if yours isn’t finished, it needs to be insulated. In fact, failing to ensure you have the right amount of insulation in your attic can have a negative on your home’s overall energy efficiency. Depending on your attic and unique situation, different materials may be the most viable solution (there is no one material right for every attic or loft insulation situation). Fiberglass batt insulation is one of the most commonly installed types of insulation and works well in many attics. Blown-in fiberglass is ideal for filling in small gaps and cracks and has excellent soundproofing abilities. Spray foam provides total coverage and helps air seal any space. Cellulose is environmentally friendly and is one of the best materials for soundproofing. Thinking about installing attic insulation in Milwaukee, Kohler, Madison or the surrounding area? Call Alpine Insulation at (866) 261-1090. Ready to insulate your attic? Contact Alpine Insulation and schedule a FREE consultation today! We serve homeowners throughout Wisconsin—including Eau Claire, Sheboygan, Madison, Milwaukee, Kohler and Green Bay. Contact us online or by phone at (866) 261-1090 to schedule your attic insulation project or get an estimate!